Seeing the Gorillas is one of those lifetime experiences that should be in everybody’s tick box. 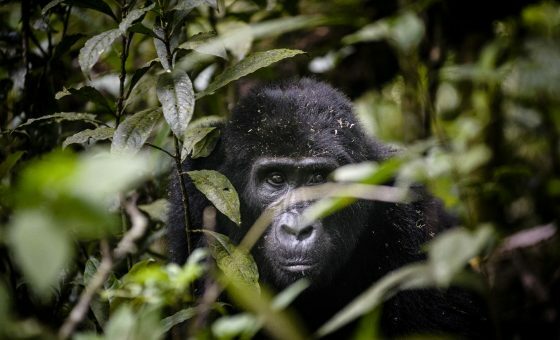 The Virunga mountains in Rwanda and Bwindi Forest in Uganda are the easiest points to track Gorillas both in terms of habituated groups and travel infrastructure. 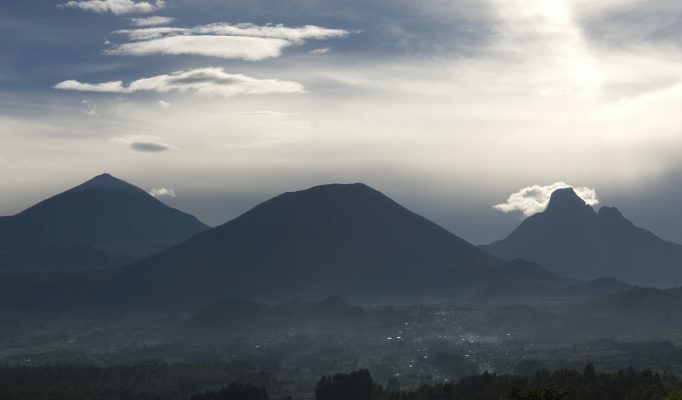 In Rwanda, Gorilla trekking starts near Ruhengeri (Musanze) early in the morning. You will be briefed by your guide at the Volcanoes National Park HQ and then with your guide team, set on your way to start this magical expedition. 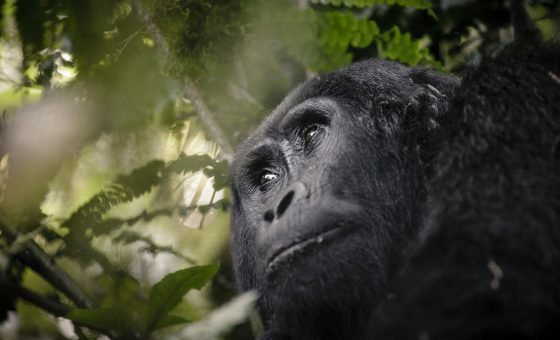 In Uganda, Gorilla trekking is based in the Bwindi Forest and, as well as a cheaper park fee, has the added benefit of chimpanzee trekking nearby. 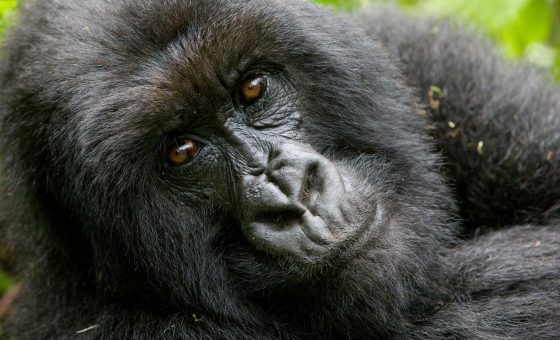 When gorilla trekking, your reward could be fairly immediate or require a few hours of hacking through the vegetation and climbing the hills to meet your prize. Seeing the gorillas for the first time is almost overwhelming. The sheer size of the silverbacks, which can be three times man, is awesome. Yet their fluffy coats and brown eyes make them so cuddly. Watching the mothers guard their young or the youth fool around is such rich entertainment. All the groups vary in dynamic and your guide will try and match the experience you are after to the group he will seek to track. To protect the magic of this experience, only limited permits are issued per day for each of the habituated groups and that allows for a maximum of one hour with the gorillas. 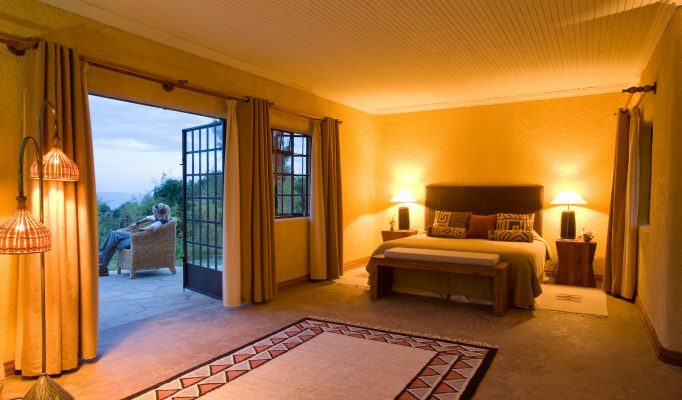 Places are extremely limited, despite their high price tag (currently US$1500 per person in Rwanda, US$600 in Uganda), and should be booked in advance of any proposed trip. 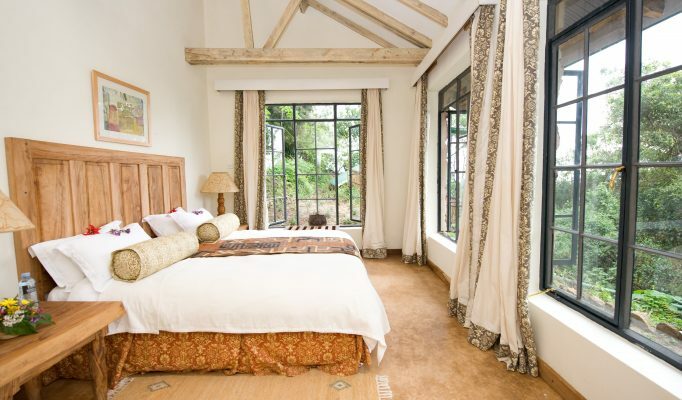 Our favourite places to base yourself for this trip are Sabyinyo Silverback Lodge and Virunga Lodge in Rwanda / Clouds and Sanctuary Lodge in Uganda.